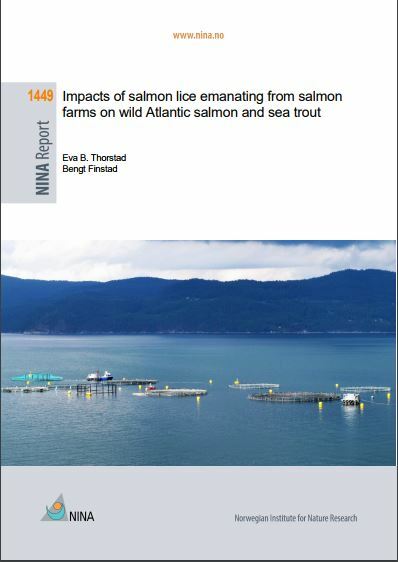 Salmon farming increases the number of salmon lice in the sea and lice in the most intensively farmed areas have negatively impacted wild Atlantic salmon and sea trout populations, a review of scientific studies has concluded. 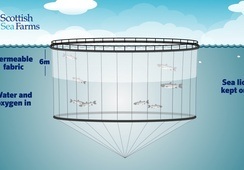 The review was carried out by the Norwegian Institute for Nature Research (NINA), and commissioned by angling pressure group Salmon and Trout Conservation Scotland (S&TCS), which wants to see salmon farms moved away from the migration routes of wild salmonids. NINA's review, written by respected academics Professor Eva B Thorstad and Dr Bengt Finstad, is based on earlier reviews (Finstad & Bjørn 2011, Finstad et al. 2011, Thorstad et al. 2015) and new studies on the effects of salmon lice. It cites studies in Ireland and Scotland as well as Norway. The authors said the latest studies have confirmed and strengthened conclusions in previous reviews. 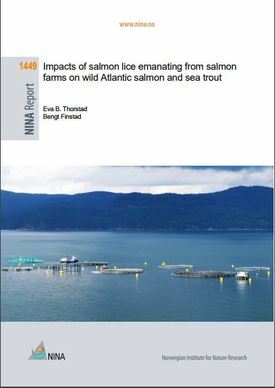 The review said lice-induced mortality in farm-intensive areas can lead to an average of 12-29% fewer adult wild salmon, adding that a 20% reduction due to salmon lice in a river where 4,000 Atlantic salmon spawn each year equals a loss of 800 spawners. 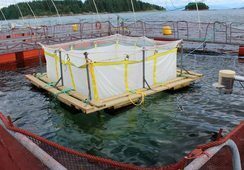 Mortality of sea trout is likely to be higher than in Atlantic salmon, because unlike the ocean-migrating Atlantic salmon, they usually remain in coastal waters, where fish farms are situated. 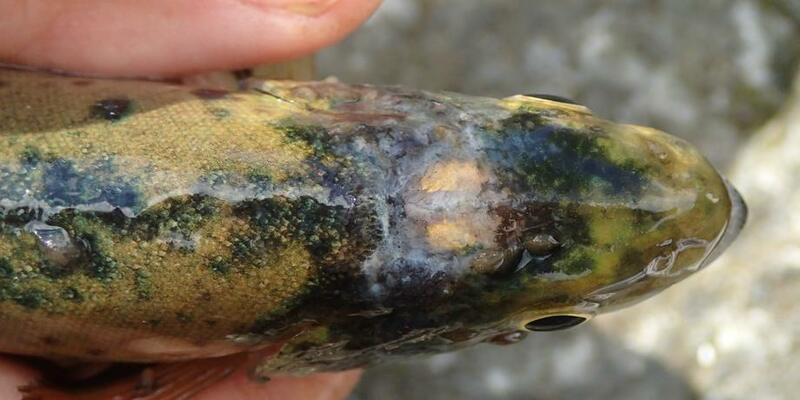 "The combined knowledge from scientific studies provides evidence of a general and pervasive negative effect of salmon lice on salmonid populations in intensively farmed areas of Ireland, Norway and Scotland," conclude Thorstad and Fingstad. "Premature migratory return, increased marine mortality and reduced growth of survivors that are induced by elevated salmon lice levels inevitably imply a reduction in numbers and body size of fish returning to freshwater for spawning, and hence in number of fish available to fisheries. Levels of additional mortality by salmon lice as indicated in several scientific studies may result in salmon stocks not achieving river specific conservation limits and, if sustained over time, could result in significant cumulative reductions in adult salmon recruitment." The review made reference to a 2013 study that reported a level of marine mortality attributable to salmon lice infestation of just 1%, but pointed out that as only 6% of wild salmon in the study area survived to return to spawn, that made a significant difference. "If a return of 4,000 salmon to a river represents a 6% return rate, a reduction in the return rate to 5% translates into a reduction of 17% of the adult salmon, or 680 fewer fish returning." 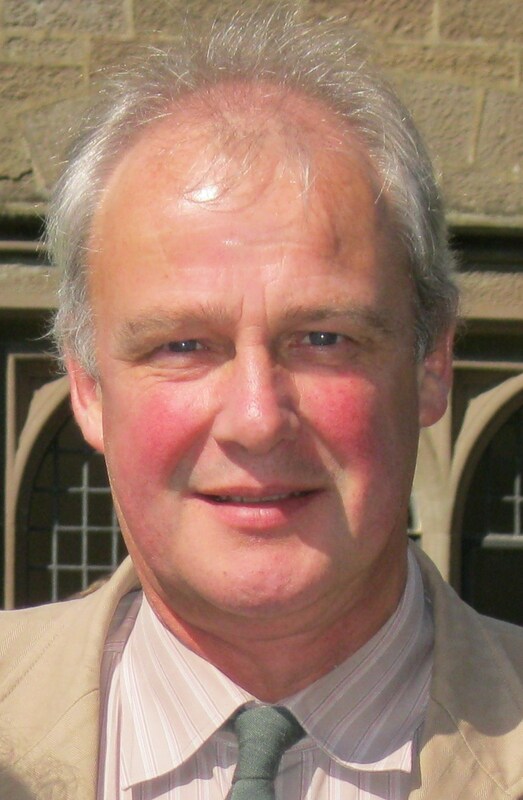 Andrew Graham-Stewart: "This report substantiates our view." Andrew Graham-Stewart, director of S&TCS, said: “For many years we have maintained that the Scottish Government’s position – that there is ‘no evidence’ in Scotland that sea lice from salmon farming damage wild salmon and sea trout ‘populations’ – is untenable. Scott Landsburgh, chief executive of Scottish Salmon Producers Organisation, said: “It’s a stretch to describe this as a “new” report when the authors have rewritten much of their own work a second time round. Quantity is no substitute for quality in scientific debate.